It’s not something most homeowners think about when they decide on an extension. After all, it’s easy to forget about paperwork when you’re taking on such a big project. Yet the contract you agree with your contractor is one of the most important things you have in your control. Compared to everything leading up to it, construction is not only the most expensive part of your project, it’s also the part when the biggest headaches can occur. One of the most important elements in a contract is insurance. By neglecting to ensure the proper insurance is in place, homeowners put themselves at risk of huge costs, court proceedings, and all the legal fees and damages that go alongside this. Public liability insurance - this will ensure that you’re covered in the event that someone is hurt on your site, or if property is damaged. Employers’ liability insurance - it’s against the law for any contractor, who works for a company (whether someone else’s or their own), to not have this coverage. It’s there in the event the contractor is hurt on the job. Developer insolvency insurance - not essential but certainly recommended, this will protect you in the event your contractor goes bust, which is common amongst builder rogues. You’ll want to make sure your contract matches your timing expectations, and to avoid any vague language around the completion date. Alongside when the work will be finished, you’ll also want to look into the day to day timings of the build. Do certain elements need to be completed by a certain point? Say foundations being laid before a change in seasons. And what working hours will your contractors keep? If you’re paying a day rate, it’s worthwhile to establish about many hours who you both expect to be working in a 24 hour period. Another timing issue to consider is delays. Sometimes these can be unavoidable, but what is your contractor doing to avoid them, and what safeguards have they in place should they arise? One of the biggest mistakes a homeowner can make is paying their contractor upfront. As a rule, you should never part with any cash until you’ve seen some results. If you pay upfront you run the risk of having your builder running out of money, declaring bankruptcy, and leaving your home in a state of disrepair. A good contractor should have the capital to fund your construction upfront, and receive payment either at the end, or at certain milestones. At Resi, we recommend our customers agree a milestone payment plan with their contractor. This means paying a small deposit up front, with further payments being released at certain construction milestones. For further protection, you can get a contract administrator (typically your architect) to evaluate the work on your behalf. 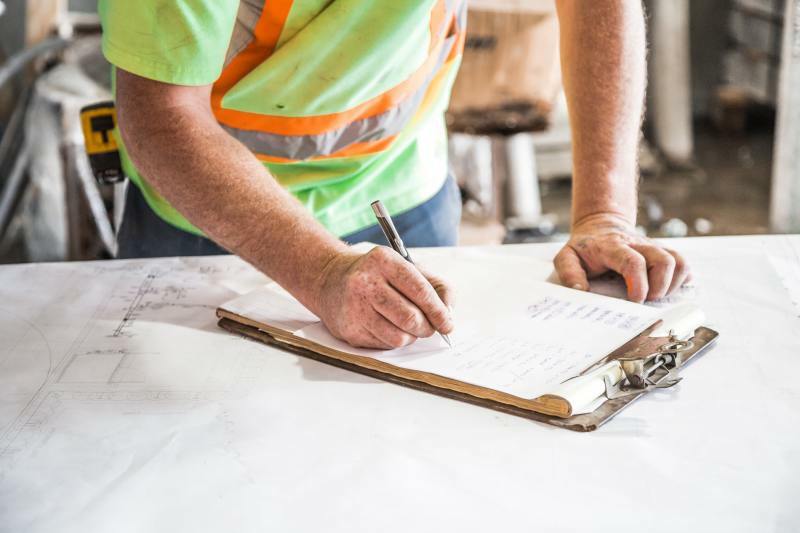 This ensures every element of your build is to high professional standard, while also encouraging your contractor to keep to a defined schedule. Is your contractor asking to be paid cash in hand? Number one, this should be a huge red flag about your contractors finances, and second, paying in cash means you’re less protected. Though credit cards aren’t without their flaws, they do offer significant protection when it comes to big purchases. Under Section 75 of the Consumer Credit Act, your bank has to look into compensating your loss if a good or service is not delivered to you after payment. In order to qualify, you’ll need to pay more than £100 and less than £30,000. A good option for smaller construction projects. Tidying up - how and when will rubbish be removed from your site? Who will buy and hire the materials and equipment needed for your build? How and when will you receive receipts and paperwork? Will your contractor use subcontractors? And if so, how much work will be carried out by these other professionals? How are you protected if a subcontractor produces poor quality or unsafe work? Have they insurance? If you’re unsure of your contract, you can either seek advice from your architect, or talk to https://www.citizensadvice.org.uk/ for further guidance.